Discover Maranza – the holiday village on the sun terrace of the Isarco Valley. 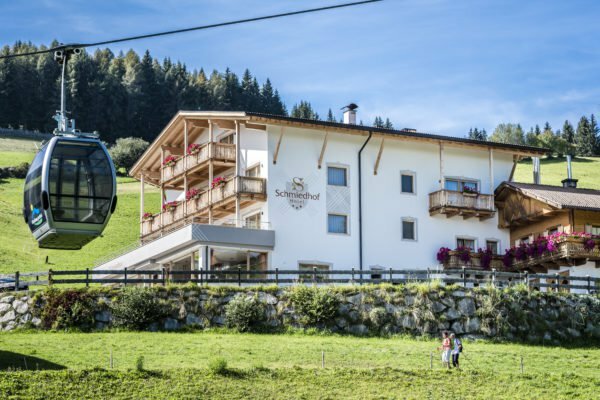 In Maranza, which belongs to the municipality of Rio di Pusteria, you will find our Hotel Schmiedhof – And we could not ask for a better location. If from our house you turn to the east, you look straight into the Pusteria Valley, which starts right here. Looking to the west, the Isarco Valley ends. Anyhow, where these two valleys merge, at the foot of Mount Gitschberg, the sun shines more often: 280 days of sunshine await you on average throughout the year – your holidays in Maranza are therefore under a lucky star. Maranza lies on 1,414 m – its varied surroundings are a true paradise for hikers and mountain bikers. 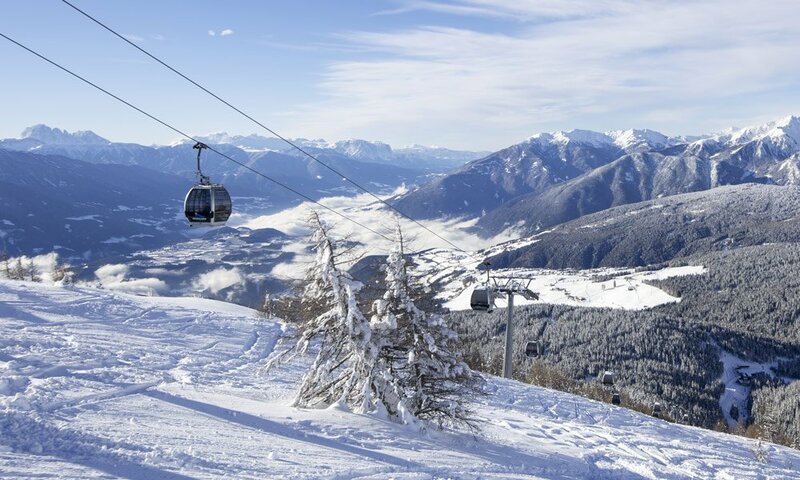 Since it is a part of the winter sports area Gitschberg Val Giovo, during your holiday in Maranza, you will live near some of the most excellent ski slopes in South Tyrol. You will be particularly happy to find out that the Hotel Schmiedhof is located directly next to the cable car to Mount Gitschberg. The village centre is only a 10-mintue walk away, and in a seven-minute gondola ride, you may reach Rio di Pusteria. Maranza is an idyllic small village, which welcomes not only active holidaymakers, but also cultural tourists and lovers of the rural life. The recently renovated late gothic, baroque Parish Church of St. Jacob and the Three Virgins is the pride of the town. An interesting memorial recalls the legendary three virgins who flew from Attila and took a rest in Maranza. The path “Lindenweg” connects these sites. During your vacation in Maranza, you may visit this path starting from Rio di Pusteria and walk along granite blocks by the wayside, wandering into history.